Utilities find themselves inundated with a diversity of data across all lines of their business. 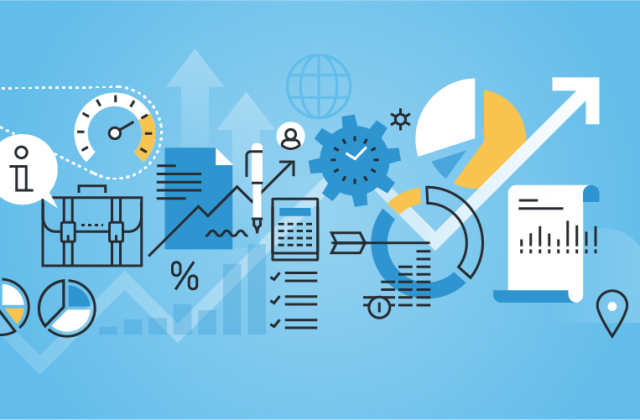 Business analytics professionals function as a critical link in analyzing and interpreting information to improve systems and operations, maintain organizational health and ultimately improve the bottom line. These professionals gather semi-annually to discuss asset management, business intelligence, key metrics and dashboard insights, enterprise risk management, pricing and rate strategies, and analytics best practices. Utility professionals with a command over data-related needs such as transforming, storing, mining, analyzing, visualizing and reporting back out to the business.​ Depending on the organizational structure, these professionals come from areas including finance, operations, business planning and customer service. Registration includes access to all Business Analytics agenda items and meeting materials, a networking dinner on Monday night, as well as catered breakfast, lunch, and refreshments at the meeting. Guest tickets are available for $90 and allow for a personal guest (a spouse or partner who does not work in the energy industry) to accompany a registered attendee at the event. Guest registration includes all meals and receptions, and all program materials. For more information contact Amy Nye, Program Manager at (503) 688-2794. Arrive early to network with peers. Light refreshments will be provided. Speaker(s): Dallas Dukes, Vice President, Energy Programs and Pricing, UNS Energy Corp.
Our host utility will welcome us to Tucson. Get to know your peers with our round-robin attendee introductions. Come prepared to share a success story or challenge from your latest initiatives, along with one question you hope will be answered at the forum. In this session we will take a walk down the evolutionary path of analytics at Tucson Electric Power. The path starts with the early days of OLAP technology, continuing through the humble beginnings of BI with OBIEE, on to the present where we are now on the cusp of big data and AI. The goal of this journey is to begin to use data as a strategic tool which looks forward rather than, what has been the case in the past, a reporting tool which looks backwards. Also, discussed will be some lessons learned from the building of proof-of-concept analytics models to show the possible benefits of applying analytics to business scenarios. Breakfast will be provided onsite. Join us as we explore the path to Data Governance by contrasting market solutions with lessons learned from real world implementations. We will look at some market solutions as it pertains to present-day organizational make up, review data architecture, and discuss data governance tool selection and implementation. Finally, we will consider what’s next on the horizon for data governance and what utilities need to maintain sustainable teams and data quality. The session provides time for attendees to address new topics and elaborate upon previous discussions at the forum. Join us on a walking tour of TEP’s Corporate Headquarters, featuring more than 230,000 square feet of office space designed to accommodate more than 500 employees. The LEED Gold Certified building incorporates a long list of environmentally responsible features including water harvesting and conservation, solar power, green building materials, and energy efficient heating and cooling. The presentation provides an overview of a 2018 survey of TEP's residential customers that developed from a traditional saturation survey into a look at customer behavior, attitudes, and program participation. Over 20,000 customers participated in the survey, which provided a cash prize incentive. The goal is to be able to apply the results to better meet the needs of our customers. The results of the survey will be used by different program areas and combined with external marketing data to better target marketing efforts and program development and ultimately enhance customer satisfaction. Lunch will be provided onsite. Interested in improving our experience? Join us at the wrap-up session to share your thoughts on the forum and help generate ideas for our Fall program on September 26 + 27, 2019 at Clark Public Utilities in Vancouver, Washington. Please contact the hotel directly at (888) 236-2427 to reserve your room. Identify yourself as being with Western Energy Institute (WEI) to receive a special rate of $229 USD/night. This rate is guaranteed until March 4, 2019 or until the WEI room block is full. I am originally from Portland, Oregon. I went to college and played football at Portland State University while studying Community Health Education. I have been with PGE since early 2012. I’ve worked in various roles within PGE’s supply chain and finance organizations including: Systems & Material Management, Accounts Payable, Procurement, and Corporate Planning. My current role is in PGE’s Finance Center of Excellence department. My personal interest include: traveling, playing golf, spending time with my family.